Dr. Ming Liao, a professor in the Department of Mathematics and Statistics in the College of Sciences and Mathematics (COSAM), teaches mathematics to both undergraduate and graduate students at Auburn University. After completing his doctorate degree at Stanford University, he has spent the last three decades pursuing his passion. In addition to being a professor, his research interest involves probability theory including stochastic processes in Lie groups and manifolds. 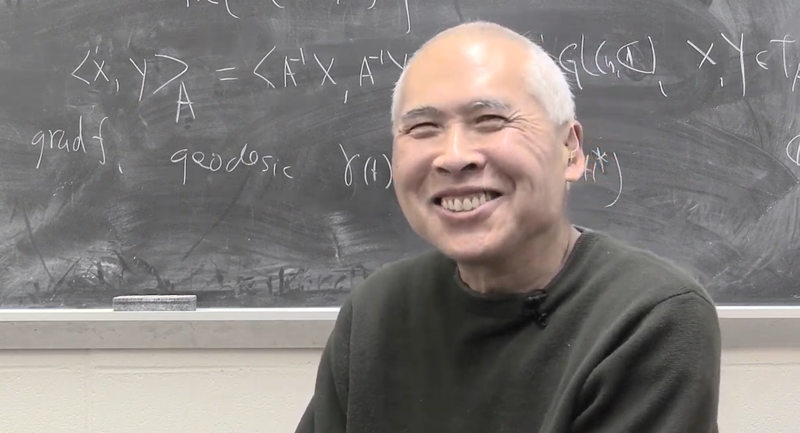 On Friday, March 15, 2019, Dr. Liao will give a lecture, just one of three plenary addresses, at this year’s Spring Southeastern Sectional Meeting of the American Mathematical Society. More than 500 people will be attending this event from March 15 – 17 at Auburn University. Dr. Ming Liao will present "Invariant Markov processes under actions of Lie groups" at the 2019 Spring Southeastern Sectional Meeting of the American Mathematical Society.